Lizards are common reptiles, and you can easily find them in your house. They feed on other pests but still, they themselves are considered as pests. Therefore, people use various ways to get rid of lizards from their porch. 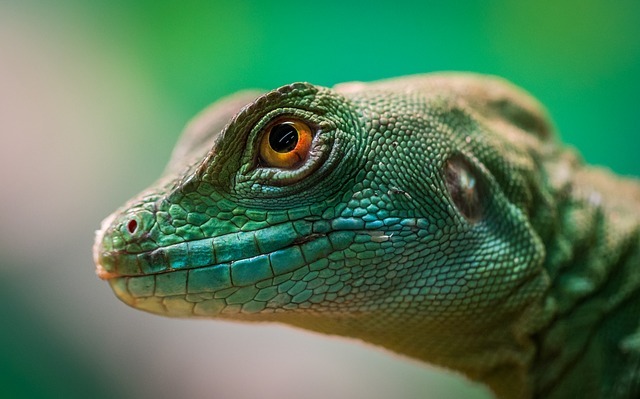 People often use phenyl tablets to repel lizards, but they’re not quite effective. Finding the best lizard repellent can be your dream, and this article will help you in that. Do household lizard repellents work? Do electronic lizard repellents work? We find ourselves in a dilemma when there are lizards inside our house, but we also dislike poison and toxic repellent. If not applied by an expert, these types of pests control can cause secondary effects on people. But you don’t have to worry if natural repellents exist. Even before electronic repellents and lizard repellent sprays, these household repellents existed to make everything so much easier for us. Another great benefit of household repellents is how affordable can they be. You can find most of the products we’re going to mention here inside hour house right now! Pepper spray: Crush some black peppers and mix it with water. Put this mix in the fridge and use it to drive lizards away. In case you didn’t know, pepper irritates lizards. Egg shells are a terrific household lizard repellent. Lizards are terrified by the smell of eggs! They can’t even get close to it. If you recently used eggs for a family breakfast, try to store the eggshells. Later, put them around windows and doors since these are lizards main entrance to your house. Lizards hate the smell of garlic too, just like Dracula. Grab some old gloves and put the garlic inside them. Afterward, put these gloves around your house. Some of the places you can choose are corners, cabinets, doors, and windows. You don’t have to worry if you can’t find gloves since you can do garlic juice and spray it around the areas where you usually spot the lizards. Onions work just like garlic. Lizards hate the smell of Sulphur compounds, which are responsible for the strong scent onions and garlic have. Grab some of these vegetables and place it around doors and windows. Moreover, you can create an onion juice using a peeled onion and a little bit of water. This household repellent works just like magic! World’s most effective household repellent. Naphthalene balls are the perfect solution for getting rid of lizards since the smell these balls emanate is enough for scaring them away. Moreover, this product is perfect for eliminating bed bugs and other types of pests. Try to put them in cupboards and cabinets. You don’t have to be afraid of Naphthalene balls since they’re not harmful to human beings. I’m sure you’re thinking about the smell your house is going to have after trying these repellents. If you’re not into the whole idea of having your house smell like a kitchen (not even the kitchen!) then you can use Phenyl tablets. The lizards won’t stand the smell of this product and your home will smell fresh and clean. Do you want to create a 100% effective lizard trap? Use coffee powder and mix it with a little bit of tobacco. Once you do this step, create tiny balls with the mix and use a toothpick to keep it together. Put this deadly trap behind the furniture, around windows and doors. Lizards will think this is an appetizer, but these little animals won’t know it’s going to be their last one. The coffee powder and tobacco mix it’s completely effective and safe for your loved ones. Birds eat lizards, and lizards are terrified of birds. Get some bird feathers and put it around the house. Guaranteed your lizard population will diminish in a few weeks. Cats enjoy killing lizards. If you own one, then relax since your pet is going to kill lizards just for fun. If you have lizards in your house and love cats at the same time, consider buying one. Don’t try this solution if you’re allergic to cats. This product works with lizards too. Put it around the house and check it occasionally. When you see a lizard trap in it just throw the flypaper outside the house. This solution is great if you’re taking a bath and you suddenly spot a lizard next to you. Lizards detest freezing water. Splash some water on them and you’ll notice they’re going to stay in shock. Take that time to kill the lizard or take it outside your house. Some of us feel bad once we kill a reptile, after all, they’re harmless little animals. If you’re this type of person, then try a cardboard box trap. Use this box to trap the lizard and let it free afterward. You can eliminate lizards by getting rid of their main food supply. If there are not cockroaches or spiders around your house, then forget about lizards. Clean your house daily, get rid of dust, and always throw out the garbage (don’t wait until is all piled up!). You might not want to use eggshells or waste your coffee on trying to get rid of lizards. This is completely understandable since most of us don’t have the same preferences. We completely encourage your decision of buying a repellent. Try going for the ones that are more natural such as BuyBlocker All-Natural Repellent Lizard Blocker or Pest-Rid Ready-To-Use Golden Granules. Both products are completely safe to use around kids and pets. Electronic lizard repellents do work, and we believe this is a great solution for getting rid of common reptiles since technology makes our life easier. Electronic lizard repellent emits an ultrasonic sound that drives lizards mad. Some even use electromagnetic and ionic technology. These products work throughout the day without us even noticing it, this is perfect if you don’t spend much time around the house, but you still want to keep your home lizard-free. Furthermore, electronic lizard repellents are completely safe for humans and pets. So you can easily keep the lizards away from your porch or front door without investing much. Lizard and Gecko Elimination kit for Home Use-Repellent & 6 Glue Boards by Exterminators Choice: This kit is an all-natural solution for getting rid of lizards, more specifically geckos. How does this kit work? It comes with a lizard spray repellant and six glue boards. Use the lizard spray around the house and put the glue board in the places where you’ve seen the lizards. You can check the price of Lizard & Gecko Elimination Kit on Amazon. Gecko Guard Pantry Moth Traps by Gecko Guar: These traps are perfect for attracting geckoes. 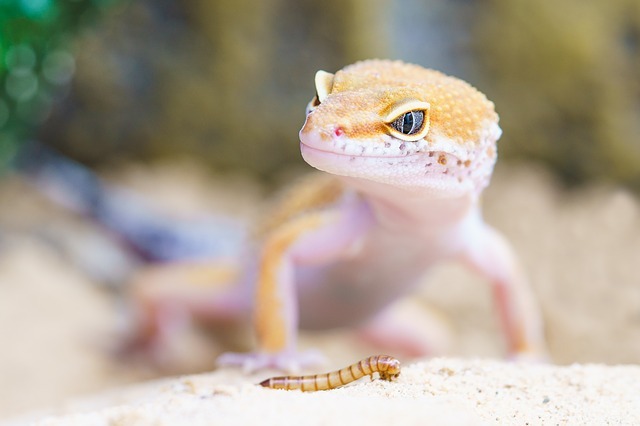 They’re filled with non-toxic Pheromone attractants that appeal male geckoes. It’s completely safe to use this product around your house and it even comes with beautiful scenery designs. Check more details of Gecko Guard Pantry Moth Traps on Amazon. Electronic Pest Repeller Ultimate by Good Life LLC: This pest repellent combines 3 types of technologies: ultrasonic, electromagnetic, and ionic pest control. This product removes any type of pests inside your house including lizards. Electronic Pest Repeller Ultimate doesn’t use any type of chemicals or toxic, so it’s safe to use around kids and pets. Additionally, you can plug it in your bathroom, living room, kitchen, and bedroom. Check Details of Electronic Pest Repeller Ultimate. VENSMILE Ultrasonic Pest Repeller: This electronic repeller gets rid of any types of pest including lizards. Your house is going to be protected at all hour since the Ultrasonic Pest Repeller works 24/7. It protects up to 1,200 square feet of your house, and it’s completely safe to use it around your kids and pets. Campfire Stuff Electronic Pest Repeller: This lizard repeller also works with ultrasonic technology. It doesn’t produce any kind undesirable smell, so Ultrasonic Mosquito Lizard Pest Repeller is completely safe. Additionally, this lizard repeller covers up to 40 square feet of your home. You don’t need a technician to install this repeller, just plug it where you have a lizard problem. Lizards are helpful and sometimes they can even be cute, but that doesn’t mean you have to let them fill your house. Lizards can cause problems if a house is infested with them. Getting rid of lizards from your front door doesn’t have to be a complicated problem. There are many types of solutions you can use and purchase to have a free-lizard zone. Try some of the viable solutions we’ve explained in this article. If this doesn’t work, call an exterminator so he can take care of your lizard problem.